I’m kinda on a homemade chocolate cookie kick lately, as I’m sure you can tell. There’s been a few more cookies on this blog in the last few weeks than I usually have. But don’t worry- I won’t bombard you with cookies. But I do want to share this one recipe with you. 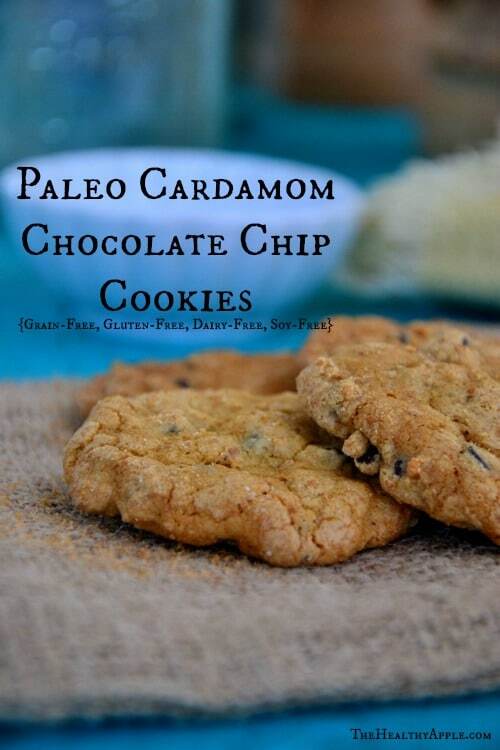 Paleo Cardamom Chocolate Chip Cookies. 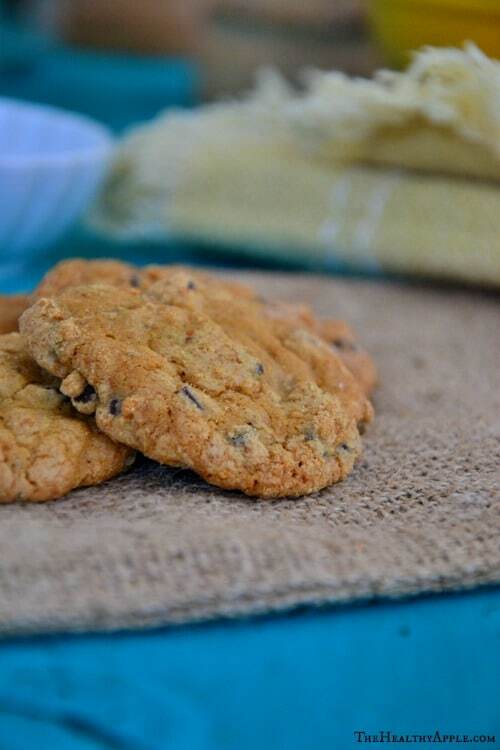 Why am I sharing this recipe with you when there are a million other chocolate chip cookies out there in cookbooks and on websites and blogs? Well, silly, it’s because chocolate chip cookies are like the little black dress of fashion. You never know when you’re gunna need it and it’s always fun to have one on hand- in case of emergency. These cookies are made without gluten, dairy, soy and grains. Plus, they’re vegan so you can surely serve these babies to your family and friends (or just keep all 10 for yourself to enjoy). 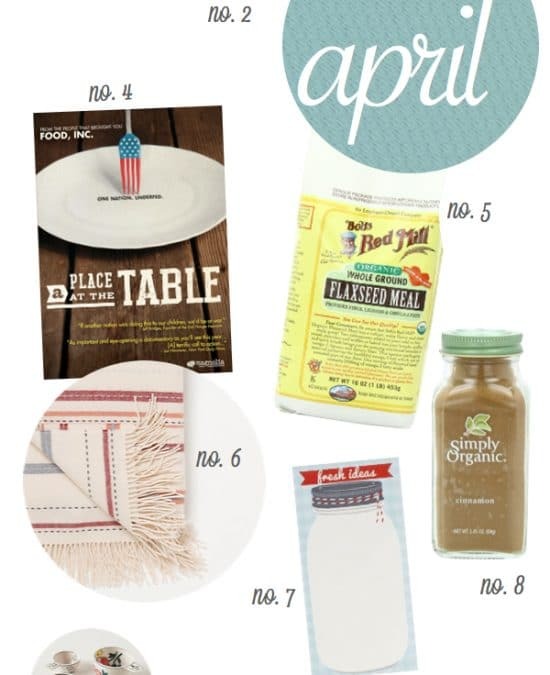 With the warmer weather coming our way and Memorial Day a month away- it’s time to get thinking about what you’re going to serve those BBQ guests. Did I hear someone say ice cream sandwiches? Mmmmm hmmmm. You betcha; these are going to make awesome ice cream sandwiches this summer. Almond milk or coconut milk ice cream sandwiched between two of these babies is gunna bee heaven on Earth. 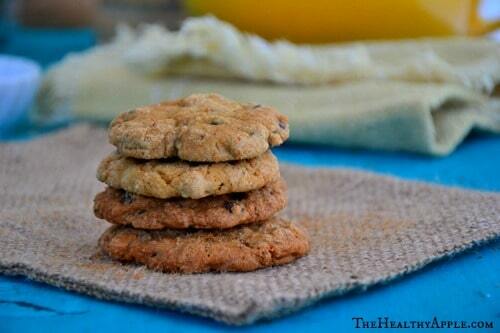 But, until the temps hit 90 degrees- let’s stick with some warm, protein-packed and flavorful cookies. O ya, did I mention there’s cardamom and cinnamon in this recipe, too? They’re so unique and you’re going to adore them. Prepare a baking sheet with parchment paper; set aside. In a large bowl, combine almond meal, sea salt, baking soda, ground cardamom and ground cinnamon. Add melted coconut oil, organic maple syrup, vanilla extract and almond milk. Add in more almond milk if needed. Mix well to combine; add chocolate chips and mix again. Using a teaspoon, scoop dough onto the prepared baking sheet and bake for 10-12 minutes or until golden brown. Remove from the oven; set aside (and keep cooking on the baking sheet) for 10-12 minutes. wow Amie this sounds delicious ! I really enjoy your blog and would love to invite you to check out our site or follow us on out twitter : quintapeirezes.co.uk We sell olive oil and raw honey from a small family farm in Portugal, maybe we can have a little collaboration. i will be making these soon! i love cardamom – they sound perfect! These would make delicious ice cream sandwiches! These sound yummy. Think I’ll be making these tomorrow if you think i could replace the ground cardamon with the extract or essential oil of cardamon? If yes, any idea how much? I hate to go buy ground if I don’t have to. I made gluten free vegan choco-chip cookies last night. I will be making again right away–with added cinnamon & cardamom. Love it. Thanks for the inspiration. These cookies sound awesome! I have never bought or used cardamom… now I have a reason to try it! These cookies sound delicious. I’ve been gluten-free for eight years now, however, going grain-free has piqued my interest over the past few months. Also, I’ve never experimented with caradom. Looks like I will have to try out these cookies! Also, I would love to win a Rice Cooker & Warmer from Zojirushi. I have always wanted a rice cooker. I know this is a really good one from researching them for someday. Amie, I am such a cookie fanatic, you couldn’t possible bombard me with too many cookies! I love finding new gluten free, egg free and dairy free chocolate chip cookies. Take care my friend! These look amazing!! Can’t wait to try them. Great website, thanks for all the awesome info! These are delicious! The cardamom is brilliant. I was skeptical about the recipe using only almond flour, but now I am a believer! Mmmmm these sound soooo good!!! Tried this last night and YES! it is awesome. I really adore cardamon any way I can get it! I added Turkish Coffee (coffee with cardamon) and could not stop eating them. Thanks for the recipe! Would like to make these, but we can not do tree nuts either! 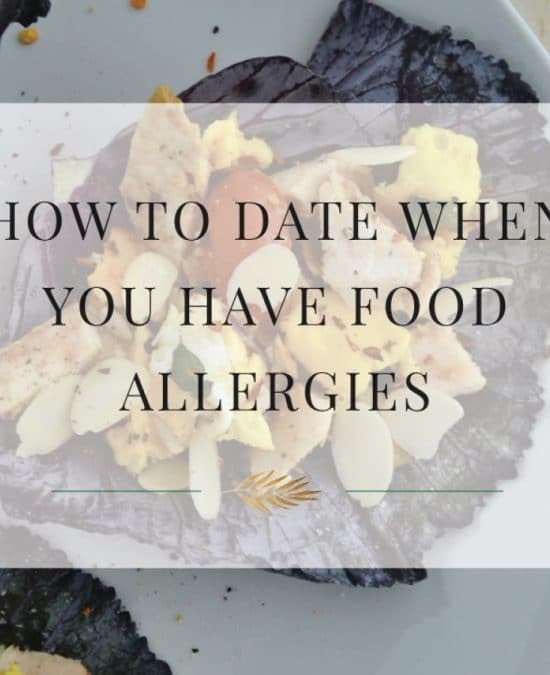 So many great recipes that contain this allergen!. I would like to try the pizza crusts that you are giving away for my daughter. Just pulled these out of the oven and tasted one. AMAZING! And they smell heavenly while they are baking. I never would have thought to add these spices to my chocolate chip cookies. Thanks so much for sharing this recipe. I’m always looking for healthy, clean desserts that don’t leaving me feeling deprived. Cardamom is my favorite spice to bake with, love adding it to waffle batter, too! 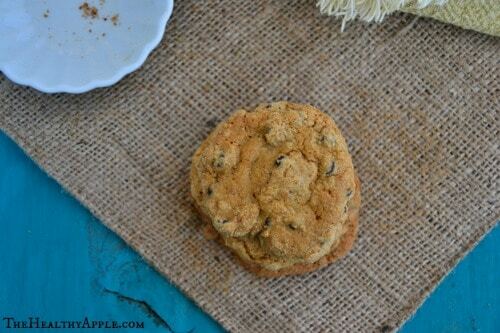 I am going to have to try this cookie! These cookies are worth making! After combining the ingredients, I couldn’t resist “the taste test” ————-O.M.G. delicious! Since my husband doesn’t like cinnamon and I didn’t have cardamon, I left them both out. Still this batter doesn’t disappoint. 🙂 Will make a double batch next time! Your AR fan! It has been recommended that my daughter go wheat, corn and quinoa free. I would like to make this cookie recipe for both her and I to eat, however I am allergic to coconut. What would you suggest as a substitute in the recipe for the coconut oil? Thanks Crystal; you can try olive oil or butter. They might work! xooxxo HUGS. Hi! These look delish! What is the texture like? Do they crumble easily? Has anyone tried adding an egg white?